Islamic Worldview and Ethics | What Would A Muslim Say? Is there some problem Muslims have with Jews? I kind of understand the Palestine/Israel conflict, but it seems like the tension between the two goes deeper. Jews were able to live in peace and prosperity and intellectual freedom under the rule of the Muslims in the Middle Ages. In fact, the Golden Age of Jewish Philosophy was simultaneous with the Golden Age of Muslim Rule. When the Inquisition swept through Spain and when the Crusaders swept through Jerusalem, it was to neighboring Muslim lands that Jews fled and found haven and a new life. In Europe, while Muslims were never able to live as Muslims, and Jews were only marginally able to live as Jews, it is a historical fact that Jews, Christians, Buddhists, and Hindus were able to live their faiths in Muslim lands. It is an integral part of Islamic law that all people have the right to live and practice their faith, even if that faith is not Islam. The Prophet specifically said that anyone who violates the rights of a Jew or Christian living in Muslim lands will never smell the fragrance of Paradise. The current conflict is all about land rights and heritage, not religious difference. I guess it’s because it seems every Muslim I talk to has a bit of a problem with both Jews and Christians. I figured it was just a matter of the opinion of that person. Well, theologically, there is the idea that what Jews and Christians now follow is not what Moses and Jesus originally preached. The Qur’an clearly states that all prophets preached the same message of God’s Unity and His right to be worshiped. It also clearly states that all prophets preached that men should act with compassion and justice on Earth. However, the Qur’an also states that most of the details of these authentic divine teachings were distorted or changed after those prophets left this world. For this reason, just as Christians reach out to Jews with the “New Testament” from God so as to keep their Covenant with Him valid, Muslims reach out to Jews and Christians with the “Final Testament” from God so as to keep their Covenant with Him valid. Muslims see themselves as the recipients of the Final Revelation from God and that this revelation has not been corrupted by human hands. 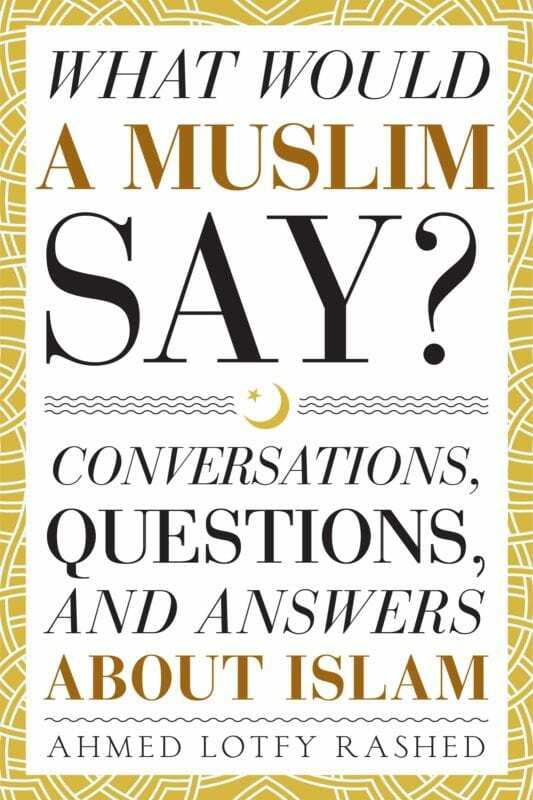 For this reason, the Qur’an refers to Jews and Christians as “People of the Book” instead of just “disbelievers.” The Qur’an acknowledges that they did receive authentic messengers from God and that they did at one point have authentic Scripture that was God’s Word; however, that Original Word was hidden, lost, forgotten, added to, or changed by the hands of men. So even though we invite all people to accept Islam, we do not coerce or force or cajole. We let our neighbors know about the divine guidance that we have received and then it is up to them to accept or reject. That is between them and God. Regardless of whether a person accepts Islam or not, he is still from the progeny of Adam and a full human being with all the dignity and rights that this implies. On the personal level, Muslims are required to treat all human beings with respect and dignity. Only in the face of aggression against faith or home does a Muslim have the right to fight and use lethal force to defend himself. Feel free to reply with any questions or comments you may have. What are the principal rules that regulate a moderate Muslim’s life?
. . . End of Excerpt . 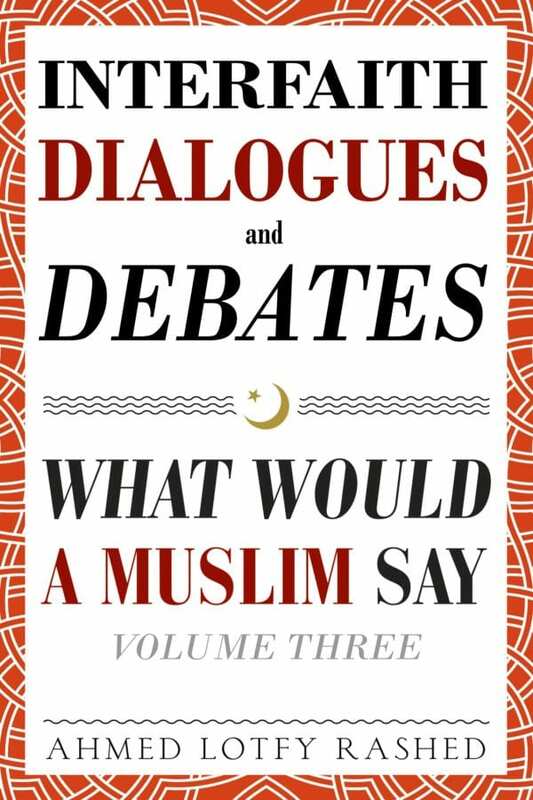 . .
Read the rest of this conversation (and more like this) in Dialogues and Debates on Islam: What Would a Muslim Say – Volume 3.